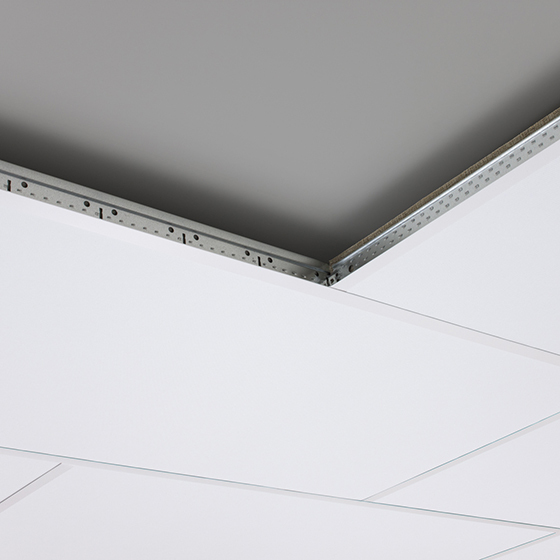 PARAFON Slugger is a very strong and durable acoustic tile for suspended ceilings that can tolerate rough conditions in exposed positions and environments, and satisfies the requirements for class 1A as regards impact resistance in accordance with EN 13964:2004. 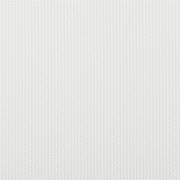 The surface is covered with white glass-fibre fabric. For impact-resistant installation in a grid system, the use of pressure profiles (for max. tile thickness of 25 mm) to hold the panels in position is recommended. For the best impact-resistant solution, installation with hat profiles directly against the ceiling is recommended. Parafon Slugger offers the highest fire classification – A2-s1,d0 – in accordance with EN 13501-1 and has a core of non-combustible PAROC mineral wool that remains dimensionally stable even at very high temperatures in the event of a fire. Thin spray painted, Black and Grey: unpainted as standard. Installation with Armstrong Prelude suspension system and use our hold down profile if the ceiling will be exposed to impact, it can be used for tile thicknesses up to 25 mm. Alternatively install with hat profiles directly to the substrate.